To be completely honest, I had never even heard of fish tacos until I met my SoCal-born-and-raised wife. Even then, I thought that those two words belong nowhere even remotely close together. The idea seemed positively disgusting. This is what happens when you're raised in the Midwest, where tacos come only from a drive-thru at a place with a big fake bell on the roof. Now that I am older, hopefully wiser (certainly grayer), and with broader culinary horizons, I am a true believer. Fish tacos are some seriously good eats. At the risk of being ridiculed by those in the know, I will call these "somewhat authentic". 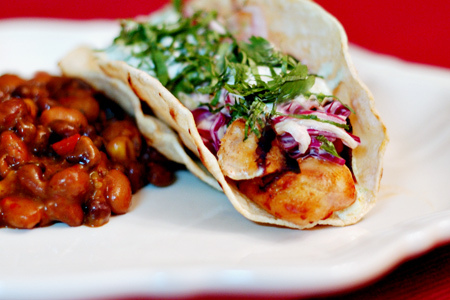 Or, you might think of them as "Authentic Gringo Fish Tacos". I was going to use that for the post/recipe title, but I had second thoughts. Shoot, call me and the recipe whatever you want. Let's get cookin'! If you can't find talapia, any mild white flaky fish would work. Mahi mahi, cod, red snapper, or halibut would be fine. Nice and fresh... I don't think I have eve made fish on the grill. I have cooked it on a plank on the grill but never by itself. Your fish tacos looks amazing! Thanks for the great grilling tips. 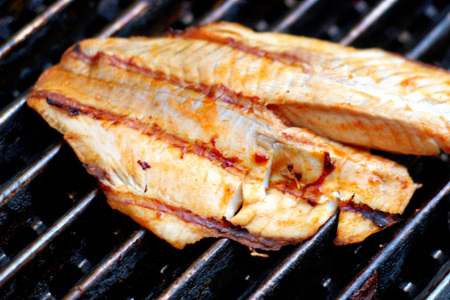 Do you suggest any other types of fish that work well with tacos if we can't get Talapia? Thanks and look forward to hearing your suggestions. 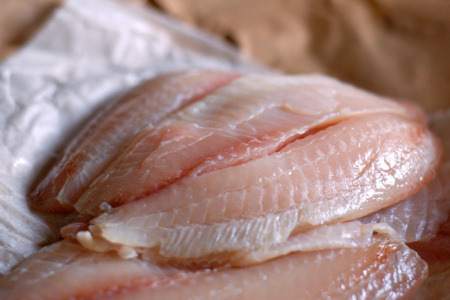 "If you can't find talapia, any mild white flaky fish would work. 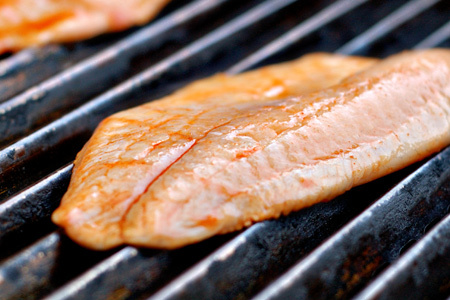 Mahi mahi, cod, red snapper, or halibut would be fine." I'm an aficienado of fish tacos and sample them wherever I travel. 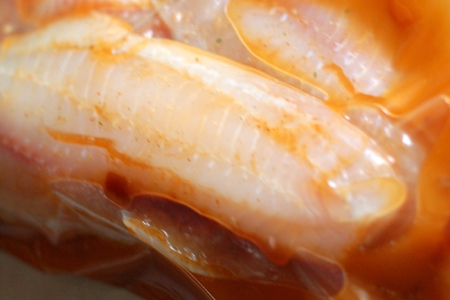 I make both fish and shrimp with a light slaw, a chipotle sauce and homemade (non-fat) refried beans. Yum!!! I'm going to try this recipe next time as there's always room for improvement. Made these last night from your recipe, and they were awesome! Definitely a keeper. We were in a little more of a hurry, so the Wife had some store bought slaw, but added all your stuff in from your Southwest Slaw recipe and it worked great. Threw a little pecan chunk on the BGE which gave it a little kick. Thanks for the recipe. The tacos look great! What is the side dish you are serving with the tacos? They look like ranch-style beans but I'm not sure. Have you ever posted a recipe for the side dish? Cooking Ventures - You guessed half of the recipe. It really couldn't be easier. I just mixed one can each of Ranch Style Beans (original) and one can of Bush's Black Bean Fiesta. This looks soooooo good!! Going to get some tilapia later on today. Hint: if you make the avocado cream in advance, put plastic wrap directly onto it before refrigerating.No icky discoloration, guaranteed! I love these! I have been using this recipe for nearly a year and it is amazing!! They are my favorite fish tacos that I have ever had! Good job on creating this one! The slaw is my favorite! The only thing I change is instead of using mayo for my slaw, I use sour cream! DELISH! Made these tonight for dinner - I could never imagine they would turn out so well, they were AMAZING! So much better than most restaurants I've been to. Thank you! Thanks, Miss Riss! I'm really glad that you enjoyed them. Made these for my family of super-finicky eaters last night. The conversation around the table started with "Ewwwww Mom, why did you make fish tacos?" but after the first bite turned to "Mom when can we have fish tacos again?". Your Southwestern slaw was simply awesome. Anonymous - That's great! I'm really glad that your family enjoyed them. We are CRAZY for these! Will "wipers" work? They are a Hybred between a white bass and stripper. Doris - I'm sure it'll be fine. As I mention in the recipe, any mild white flaky fish would work. your tortillas look so good but not at all like my corn, how did you prepare them? Anonymous - I just lightly grilled store-bought white corn tortillas per the recipe.